WWE Announces Four Big WWE Network Specials And More Tapings For WrestleMania 35 Axxess - Wrestling Inc. Triple H has announced that WrestleMania 35 Axxess will feature another Worlds Collide theme with male and female Superstars from WWE NXT, NXT UK, RAW, SmackDown and 205 Live doing battle at each session. The matches will air over four WWE Network specials. There will also be three NXT UK TV episodes taped at Axxess. Themes for the WWE Network specials are NXT vs. NXT Alumni, Cruiserweights Collide, Brands Battle and Women Collide. 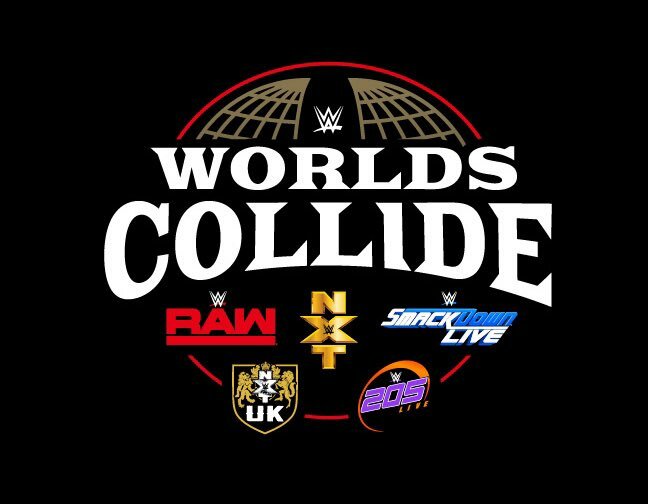 WrestleMania Axxess, WWE's biggest fan gathering of the year in sports-entertainment, just got even bigger with the addition of new Worlds Collide events! This year's Axxess — which runs Thursday, April 4, through Monday, April 8, at Brooklyn Pier 12 in Brooklyn, N.Y. — will feature unique, never-before-seen Worlds Collide matchups involving Superstars from NXT, NXT UK, 205 Live, Raw and SmackDown LIVE. Axxess will be your only chance to see these matches before they air on WWE Network. In addition, three sets of NXT UK tapings will take place at Axxess. Check out the schedule of events below and be sure to secure your Axxess ticket today by going to Ticketmaster.com. Cruiserweights from 205 Live, NXT UK and NXT will soar to new heights in inter-brand bouts on Friday's Axxess sessions. Featured matches will include Tyler Bate vs. The Brian Kendrick, Akira Tozawa vs. Jordan Devlin, Flash Morgan Webster & Mark Andrews vs. Ariya Daivari & Mike Kanellis, and Albert Hardie Jr. vs. Gran Metalik. Session 1 runs 1-5 p.m., and Session 2 runs 6-10 p.m.
Each of Saturday's three Axxess sessions will feature an NXT UK TV taping for future airing on the award-winning WWE Network. Don't miss the rare opportunity to watch the United Kingdom's best and brightest Superstars competing stateside. Session 1 runs 8 a.m. to 12 p.m., Session 2 runs 1-5 p.m. and Session 3 runs 6-10 p.m.
Two 20-Superstar Battle Royals — one for male Superstars and one for female Superstars — will take place the morning of WrestleMania. Both Battle Royals will feature Superstars from NXT and NXT UK, and the Men's Battle Royal will additionally feature Superstars from 205 Live. One day after female Superstars main-event WrestleMania for the first time in history, the WWE Women's Evolution continues to take center stage at Axxess. Watch top female Superstars from NXT, NXT UK, Raw and SmackDown LIVE collide, with matches including Io Shirai vs. Sonya Deville, Toni Storm vs. Nikki Cross vs. Bianca Belair, Piper Niven vs. Zelina Vega, Candice LeRae vs. Kay Lee Ray and more! Don't wait to secure your seat at these events. Tickets for WrestleMania Axxess are available now at Ticketmaster.com!